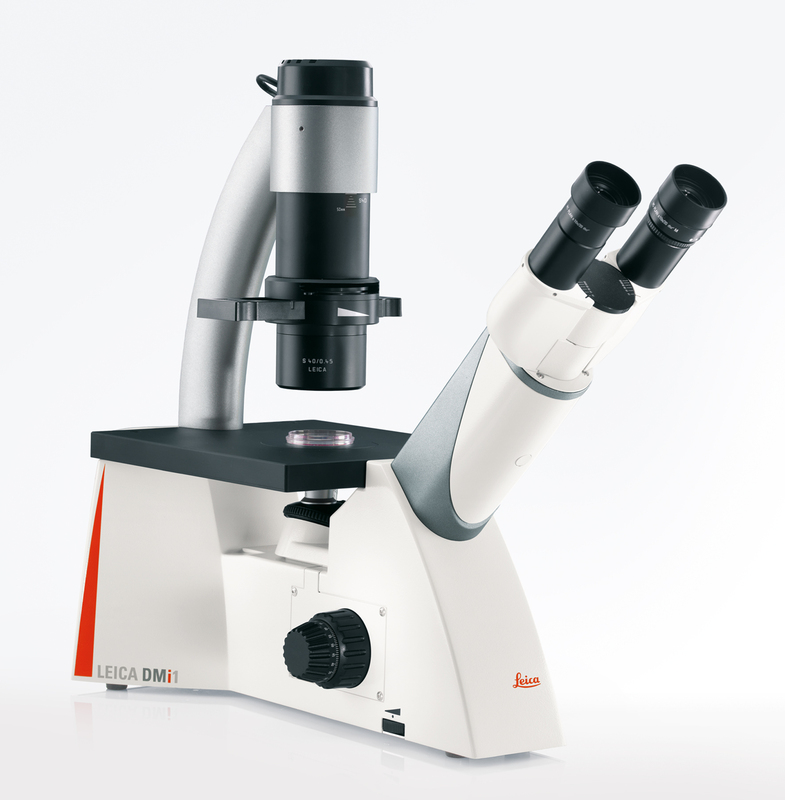 With the Leica DMi1, Leica Microsystems launches an entry level inverted microscope with functions specifically necessary for routine lab work. The Leica DMi1 enables cell biologists to check and document cell and tissue cultures within seconds. Its ease-of-use and efficient operation make it an excellent choice for routine laboratory work as well as for training. Combining high performance and affordability, the Leica DMi1 is equipped with LED illumination that provides constant color temperature with up to 20 years life-time. The convenient two-hour auto-off function helps reduce energy costs. For the finest visualisation of cells cultured in a variety of containers, phase contrast is available in addition to brightfield illumination. The 40 to 50 or 80mm working distance means that a wide variety of culture containers like flasks, dishes or multi-well plates can be used on the fixed stage. An optional object guide with different kinds of holding frames is available to securely and reliably hold and move laboratory vessels during observation and documentation. To improve workflow, the Leica DMi1 offers several devices that make routine applications easier: Phase contrast observation is simplified as the 10x, 20x, and 40x objectives share the same light ring meaning the user no longer needs to match light rings and objectives. Furthermore an intelligent sensor automatically adjusts light intensity between brightfield and phase contrast method-switching. If documentation is needed, a configuration with a digital camera connected to the integrated C-mount is available. This camera captures images and videos and is operated via remote control or palm/foot switch. Data can be stored directly on an SD card or on a computer. Also, images can be displayed directly on an HDMI screen connected via an HDMI port. The core version of Leica Application Suite (LAS) software for PC is included with the system, so that users can refine their image analysis with measurements and annotations.